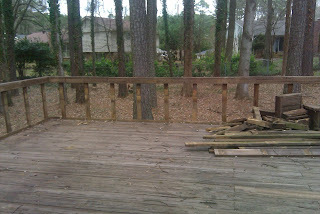 Now we were left with the 2x4 railings, which our inspector had told us was too wide for code. So, I looked up the International Residential Code, which said you should have a railing height of 36" (check), it should be able to take some huge number of pounds (probably check, I wasn't going to throw myself against the railing or anything), and spaces between the ballusters must be 4" or less. Woops. Ours are a tad farther than that. 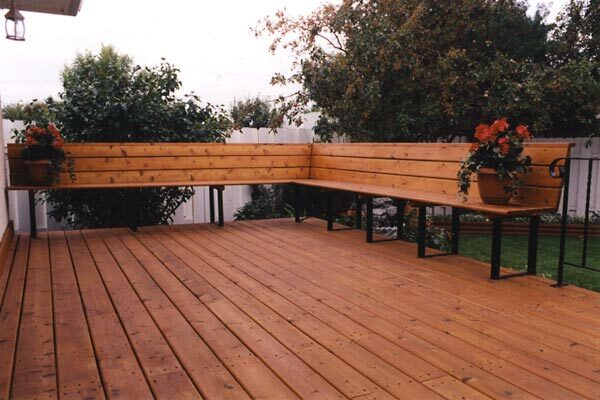 However, the code also said that for decks where the ground is less than 30" from the top of the deck surface, no railing is needed. I double-checked Cobb county code, and they said nothing about modifications to that rule. 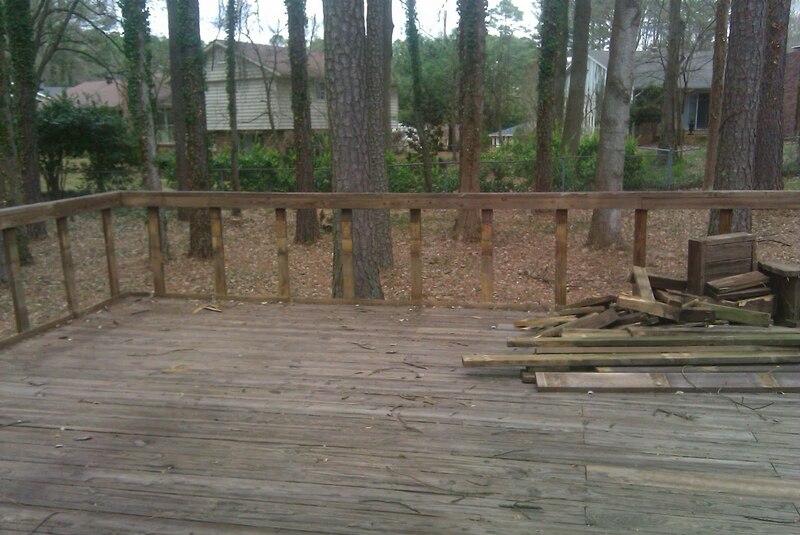 At the highest part (over there on the left of the above pic), the deck surface is about 29" from the ground. If we plant anything there in a raised bed, it'll be higher. This type has to be spaced 2 ft apart, with 1 ft on each end (those are the maximum recommended distances). So, for a corner with 10 ft of bench on either side, we'll need 10 brackets, or 5 2-packs @ $30 a pack from Northern Tool or amazon.com. They have to be spaced 4 ft apart, with one at the corner. Basically it'll be $24 for the corner bracket, then $20 for each additional 3-4 ft of length we want after that. So We could do 12-ft benches on either side for $144, or 8 ft for $104. We'd buy them here. So we get to pick our favorite from those. We'll cover the rest of the edges of the deck with one of those plastic storage boxes for cushions and whatnot, a hammock/pergola, the grill, and my other pet project, the vegetable planter box. That way, even though we don't need a railing, we'll still have some barrier between us and the 2.5 feet to the ground. I'll post a planned layout shortly, plus more on the planter box.